According to the site: (A influência da internet nos jovens. 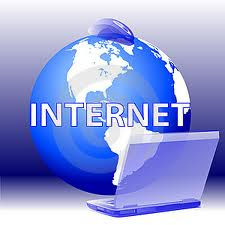 2009), the Internet is considered one of the greatest inventions of the twentieth century. By creating a network for exchange of information worldwide, the Internet has shortened distances, what has contributed to the idea of a global village. So people started to communicate in real-time, at an affordable price, from a certain place to anywhere in the earth (or even in space). Thus, it has allowed an exchange of information globally; it is an approximation of friends and family who were far. It was also a big step for large companies, because it facilitates the flow of information, it is used in training, in consulting services, in customer support, in project management. It also allows a less bureaucratic system, making it faster and reducing costs (e.g. application for higher education, IRS, entrepreneurship etc.). According to the site: (A influência da internet nos jovens. 2009), these "new" technologies had a large membership among young people, because it allows them to communicate with anyone, anywhere in the world, and in real time. Thus, it is a way to make new friends, to know new cultures, languages, or even clarify doubts with a teacher. However, its use also poses some problems. How can we know who are we talking with? Anonymity is one of the main problems associated with the usage of such technology; one must be aware that you never know whom you are talking with, and that this person may have not the best of intentions. There’s also the possible danger that it represents when it transforms from the virtual contact into a real contact. When there is no room moderator, it increases the chances to likely exist “bad guys” with attractive invitations for talking and games. According to the site: (Tecnocracia_a Internet dá poder para o usuário comum. 2009), what we call Web 2.0 is nothing more than a tendency in the use of the Internet, techniques and technologies that have been around for years and many of them were already used even before being called that way. And this tendency is the recognition of the other side of our screen. We think outside the screen, despite we’ve been using it more and more. We know that the Internet is not something separated from the reality, as some may defends, besides being network nodes we are actually people, just like any other. By seeing it, after the euphoria of novelty, when the computer becomes just an appliance at home, the internet started to be used too much more in a social and interactive way than it had never been used before. It gives us power, as social beings, as consumers and as generators of opinion. According to the site: (Infobot_blogs. 2009), Internet changes constantly, it is a media that does not stop growing and updating itself. The Internet alters its own limits and its own regulations, like no other media, it overcomes any boundary. Considering only the two larger portals in the world, Microsoft and Google, numbers exceed 1, 5 billion accesses each year. Only in Brazil there are more than 25 million of Internet users. In addition, the entry of digital TV will originate a new way to access the Internet, which previously was restricted to the computers, it will allows the browsing from the living room of any residence with television. All this shows the importance of this medium. Many people use Internet as media and they invest in big web sites, hot sites and buying links or clicks on tools like Google Adworks. According to the site: (Internet_wikipedia. 2009), MSN Messenger is an instant messaging program created by Microsoft Corporation. The service was created July 22, 1999, which announced itself as a service that allowed talking to a person through instant conversations over the Internet. The program allows an Internet user to communicate to another user with the same program, in real time, and it also enable the person to have a list of virtual friends and to see when they enter and leave the network. It was merged with Windows Messenger and then originated the Windows Live Messenger. In this type of application the pioneer was the ICQ in 1996 which revolutionized the concept of instant message online. But in recent years, the MSN has won more fans in Portugal (although in Europe the most used messenger is still ICQ), and has became the leader in Brazil, where is consistently one of the most downloaded programs. The successes of MSN Messenger can be justified for being integrated to the service of e-mail Hotmail, for being included with Windows XP and for having an intense publicity among the young public. It also has as competitors: Yahoo! Messenger, and others services also integrated to e-mail. According to the site: (Internet_wikipedia. 2009), the Microsoft Network Services (Microsoft Service Network) or just MSN is a portal and a network of services offered by Microsoft in their strategies involving Internet Technologies. The logo represents a butterfly, which “capture the imagination and the freedom” for talking on the MSN. The Microsoft Service Network was initially designed to be a great BBS (or Service online) in 1994 for Windows 95 users. Differently to the large tendency of that time, Bill Gates stated that the Internet was just a “fad” and that the large online services were the future of home connection between personal computers, due to the great success that America Online and CompuServe were. However, the low demand made that the msn – as well as the others online services at that time – were converted into a provider of Internet access, delivering exclusive contents to the subscribers. According to the site: (Internet_wikipedia. 2009), from 1997, the contents started to be gradually opened to all subscribers. In 1996, the msn could not really establish itself as a big provider, which it was behind some that do not exist anymore. In 1997, Microsoft makes a big marketing campaign in the United States and Europe garnering millions of subscribers and putting MSN as the sixth largest provider in the United States of America. In 1998, this campaign was attached to Windows 98, but it was not as successful as the previous year. In 1999, in England, the English msn conquered the position as the major provider in Europe. It is also at this time when the focus of msn around the world changes to portals and even had opened a subsidiary in Brazil in 2000. According to the site: (Internet_wikipedia. 2009), in 2001, an aggressive marketing campaign begins to promote the msn messenger, which was just a clone from the familiar ICQ. In Brazil this campaign was made by the young audience with commercials on MTV and Jovem Pan. In 2003, The Microsoft program was already the most used. Because of its great success, the acronym MSN is most known as the messenger program. In 2001, the MSN explorer was also inserted which was only a browser based on the most attractive to the lay public and with easy accesses to the services of MSN portal in order to stimulate its use. Despite of being incorporated in the Windows XP until 2002, the MSN explorer is currently abandoned. According to the site: (Internet_wikipedia. 2009), today the MSN still has big portals in the Internet integrated by the technology. Net. Passport concentrating more than twenty million pages through this cluster of sites (which includes everything from Microsoft to its corporate site) the symbol ranked second in number of hits in the United States. In 2002, Microsoft attempted to enter the MSN 8.0 as a software that covers quick accesses and spreading to all of its services by a signature that had not been successful. In 2003, the strategy was abandoned and the MSN.com domain was liberated to the free e-mail service hotmail. The last portal service launched MSN (Microsoft Service Network) is the MSN soapbox to compete with youtube and provide accesses to the inserted videos by the own users. The msn as a communicator tool is the most used messenger program around the world; it may bring some good or bad aspect. So, it will depends on the way it is used, if prudently or not, those features is very important in order to use it in a safely way. 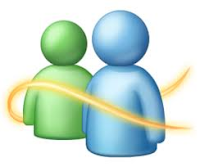 Nowadays people started to use msn not just for ordinary talking but also for professionalism. Some people use it as a tool for working in many modalities: those who use it for class working to solve problems and make homework together and even they use it as a tool for learning, through the communication, they may learn different languages, meeting people from others countries with very different cultures, which it is a kind of exchange of knowledge; there are those who negotiate or solve problems with the costumers of a company; those who make work of clairvoyance; those who negotiate any source of trade; and does any sort of negotiation, etc. But most people use it for personal purposes. Usually people like ordinary small talking, gossips and exchange of news and small or even big informations. According to the statistic, In Brazil, 90% of people who have computer at their work use it for personal goals; like checking e-mails, banking or even talking on the msn with acquaintances and family which may take the person to loose the concentration on their function. Young people usually spend too much time looking for the right people to be part of their lives, as boyfriends, girlfriends or just friends. Thus, it brings the power for selecting and choosing the ideal one for a given person, with its own criteria and taste. However, it may bring up unpleasant and conflicting situations, like meeting the wrong person personally, or leading it to some illicit encounters or to violence. http://en.wikipedia.org/wiki/Internet. Accessed in November, 2009.
http://www.infobot.com.br/?tag=internet-como-midia. Accessed in November, 2009.
http://tecnocracia.com.br/arquivos/a-internet-da-poder-para-o-usuario-comum. Accessed in November, 2009. “A INFLUÊNCIA DA INTERNET NOS JOVENS”. Website. On-line. Internet. Available: http://imediaji.wordpress.com/. Accessed in November, 2009.